The Chinese government has been notorious in implementing strict internet censorship policies which have controlled their citizens from fully expressing opinions and sharing their favorite content. But, as the blockchain technology is adopted more widely Chinese internet users have currently found a way to overcome Beijing’s censorship. The blockchain is a technology where the digital information is stored in a public database. They contain a list of records, called blocks, which are linked using cryptography. Each block contains a cryptographic hash of the previous block, a timestamp, and transaction data. By design, blockchain is inherently decentralized and is resistant to any alteration of its data. The information shared on the blockchain is authentic and can be verified by anyone. This inherent permanent nature of the blockchain ensures that no authority can censor or remove anything that has been shared on the blockchain network. 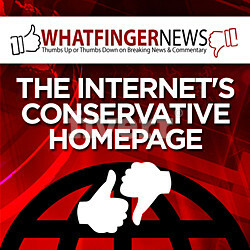 Article claim that this is a revolution as far as Internet Rights are concerned. Chinese citizens are using this newfound freedom to good use, reportedly. A college sexual assault story which normally would have been censored, became viral after the information was converted to the metadata of a blockchain. Also, the exposing of a Chinese department scandal involving injecting babies with fake vaccines also got enough traction due to Blockchain. These scandals would have been easily removed or modified with a government version if they were using WeChat or Weibo, but the government cannot censor a story something that is made part of a blockchain. “Chinese Internet users are incredibly savvy. It’s tough to flag their comments algorithmically — they could be a subtweet of a subtweet, a thinly veiled historical reference, a euphemism with no keywords,” comments Christina Xu who studies internet culture in the US and China.